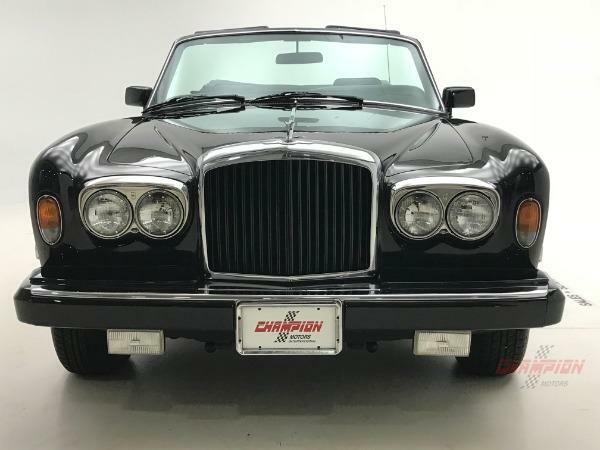 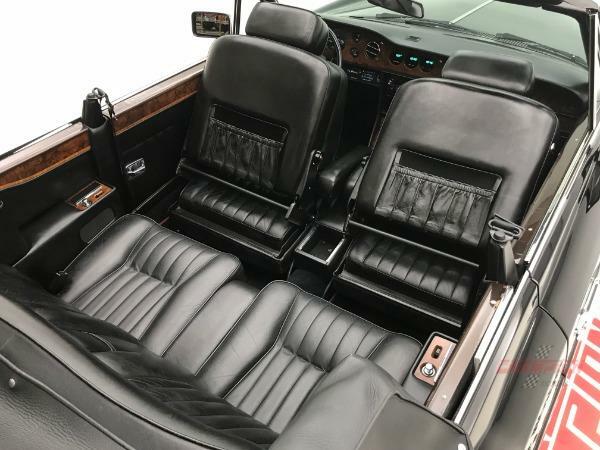 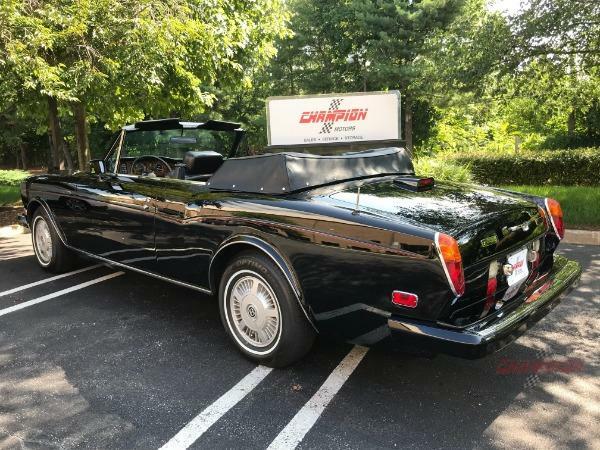 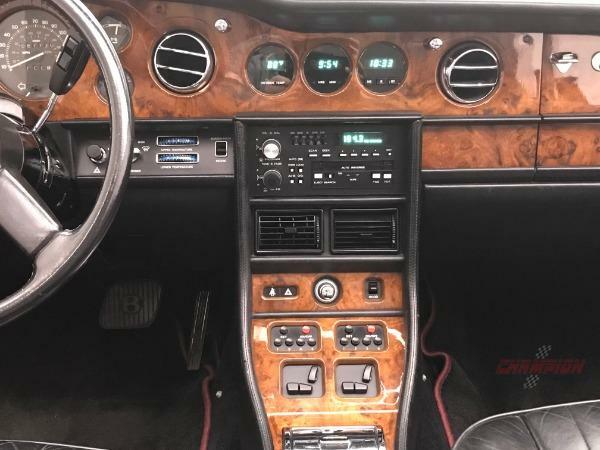 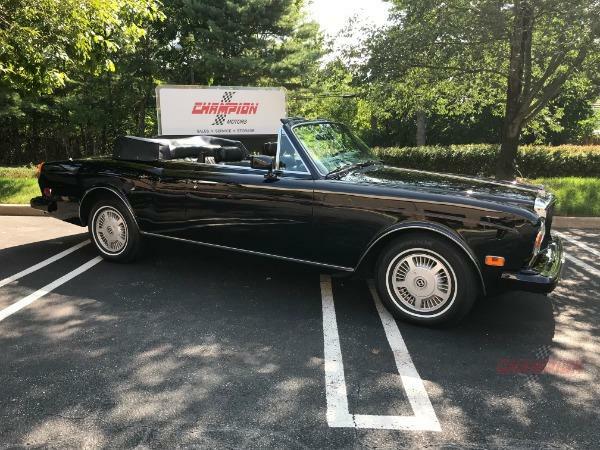 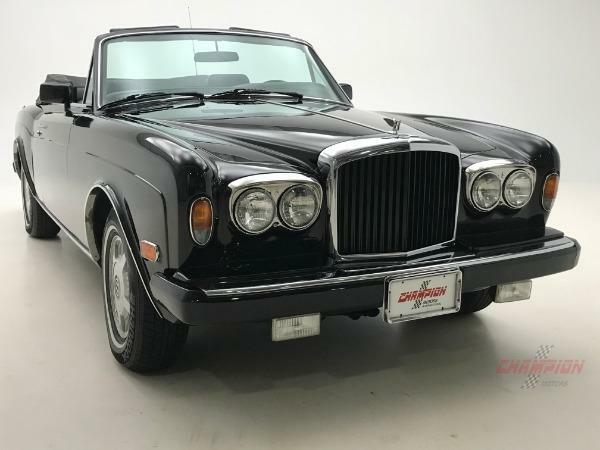 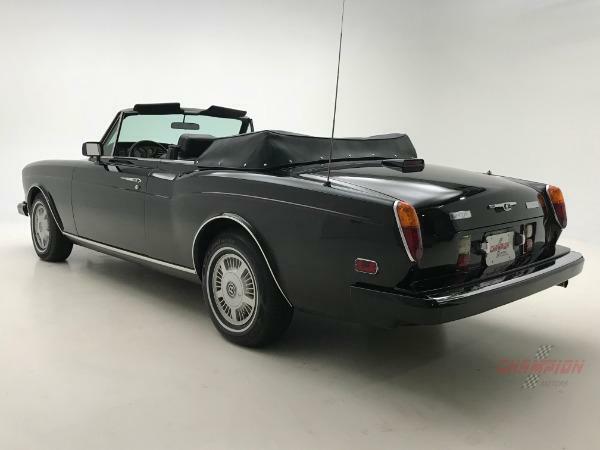 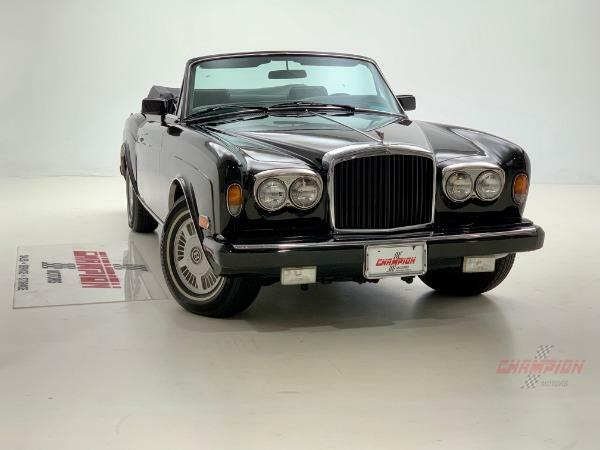 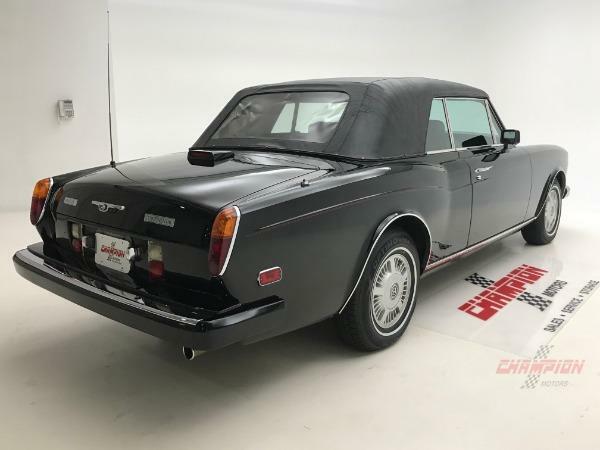 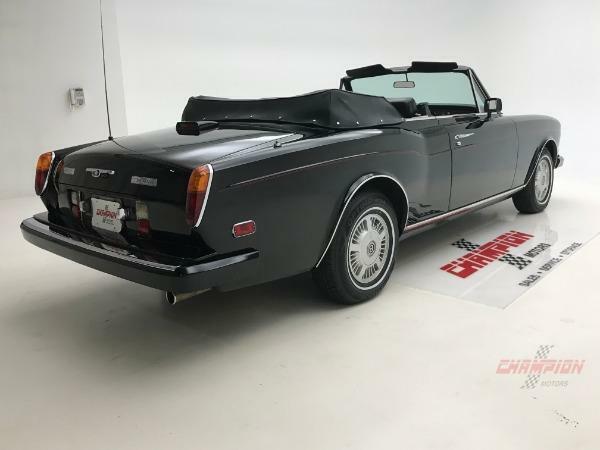 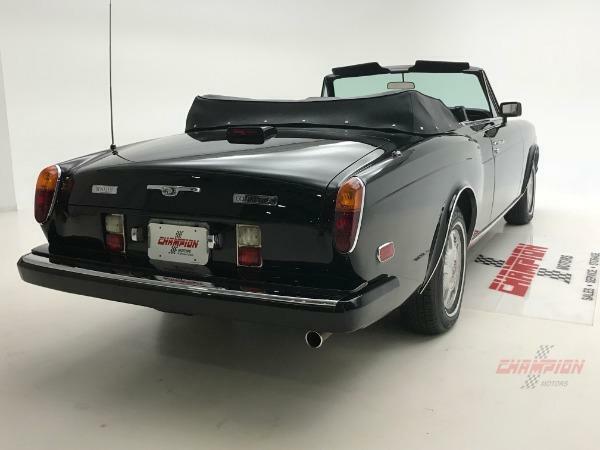 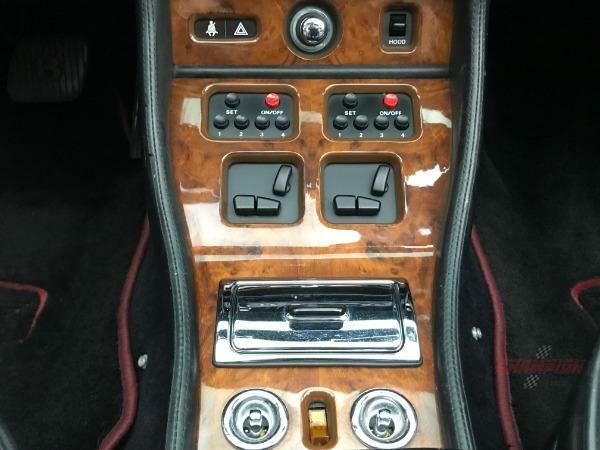 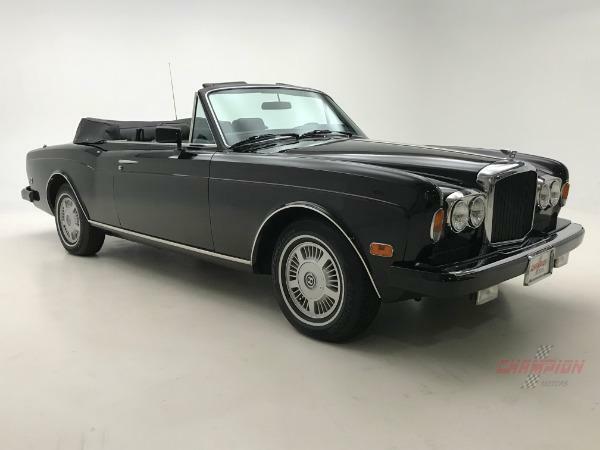 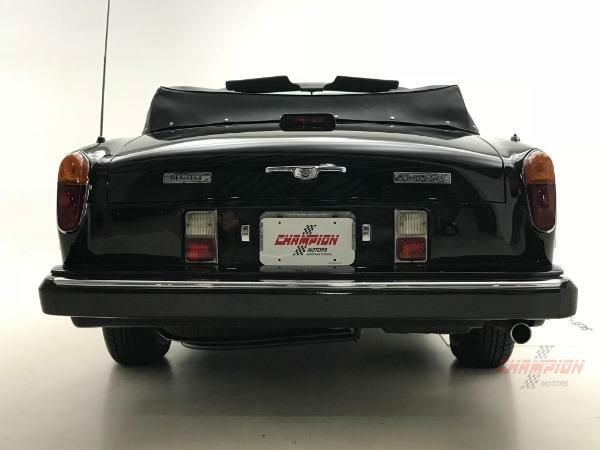 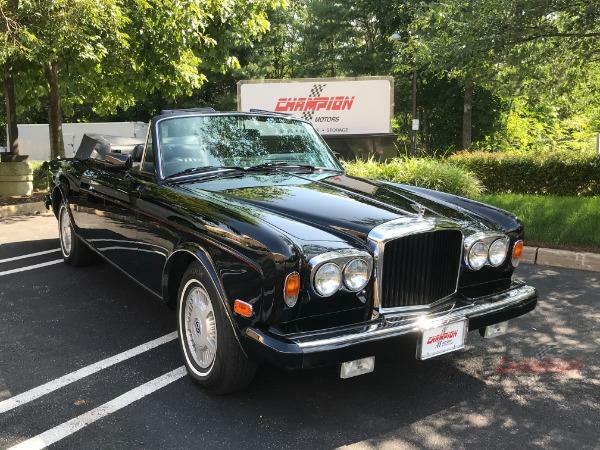 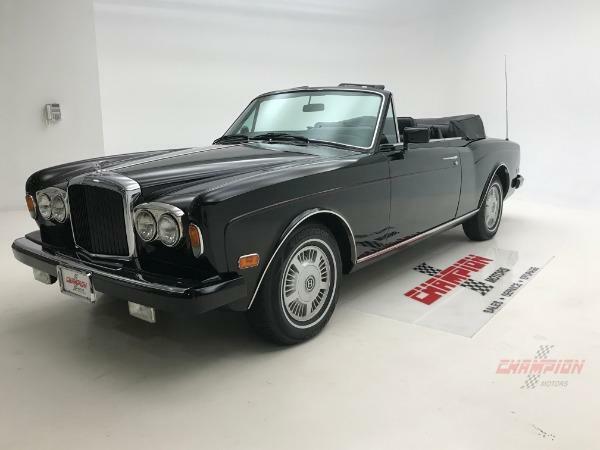 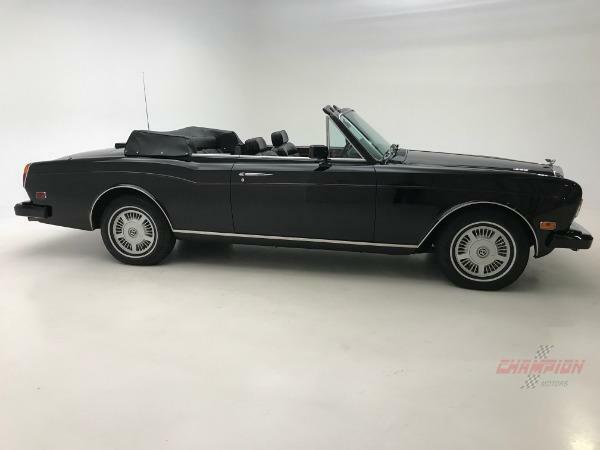 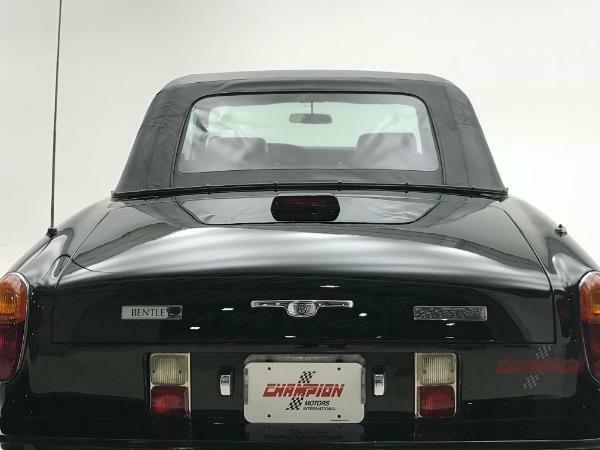 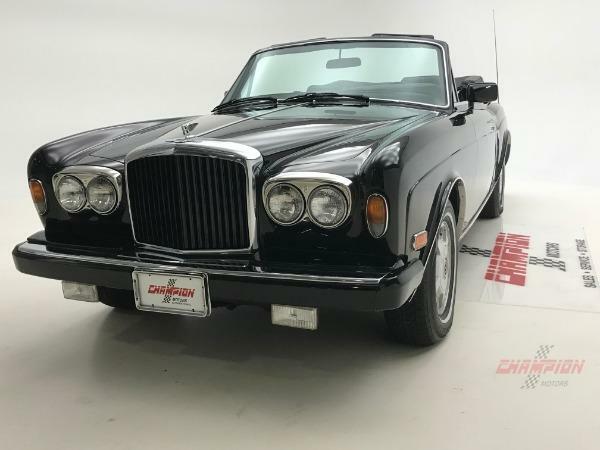 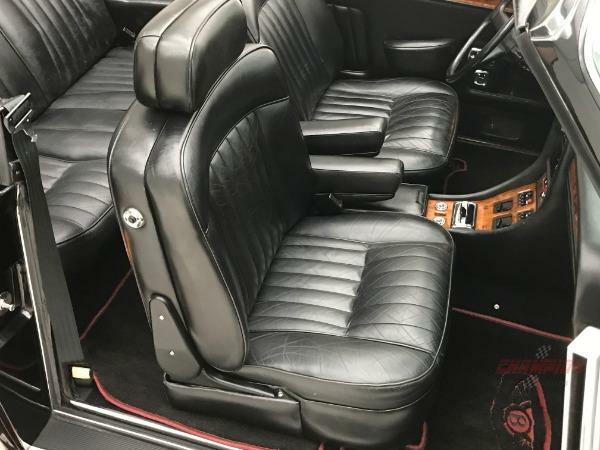 Champion Motors International is proud to present this one of a kind 1987 1/2 Bentley Continental Convertible. 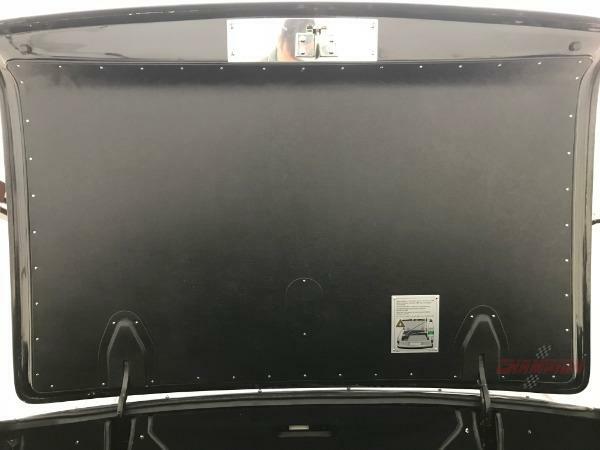 Chassis # SCBZD02A7HCX20538 . 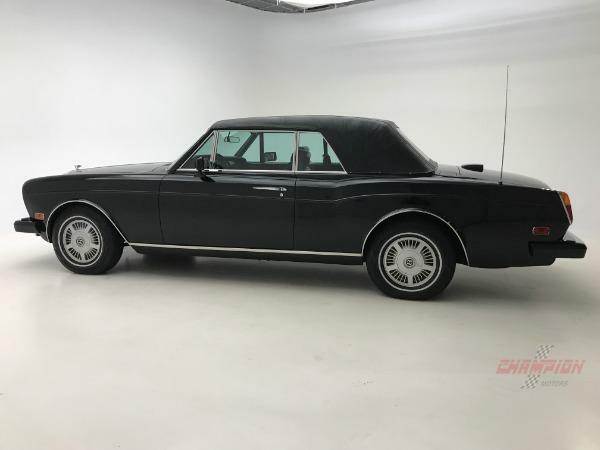 In 1966 Rolls-Royce introduced the Silver Shadow Sedan. 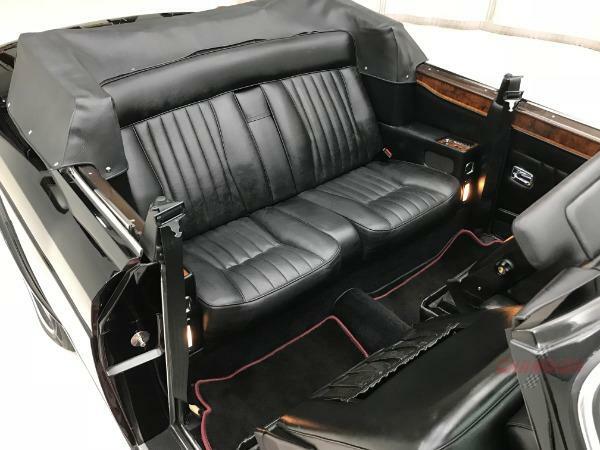 This was a revolutionary car for them and was their first car with unibody construction and four wheel independent suspension. 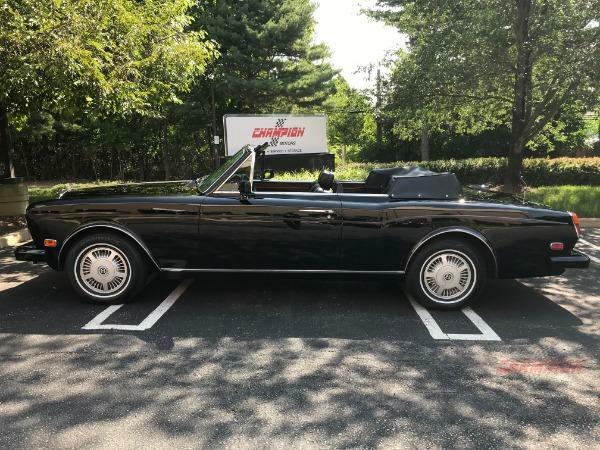 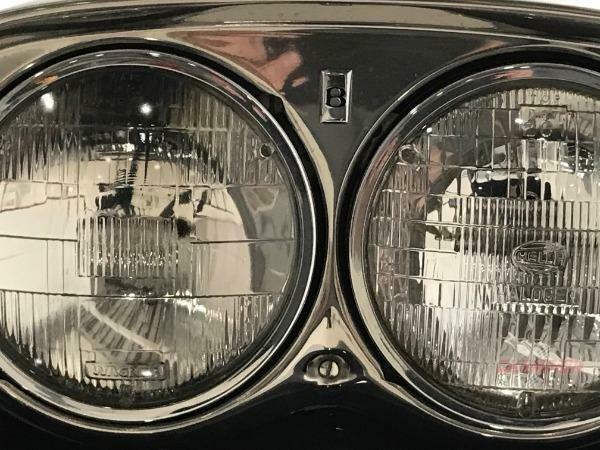 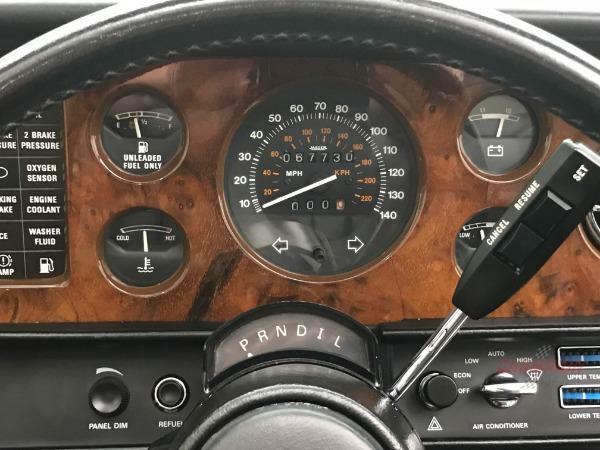 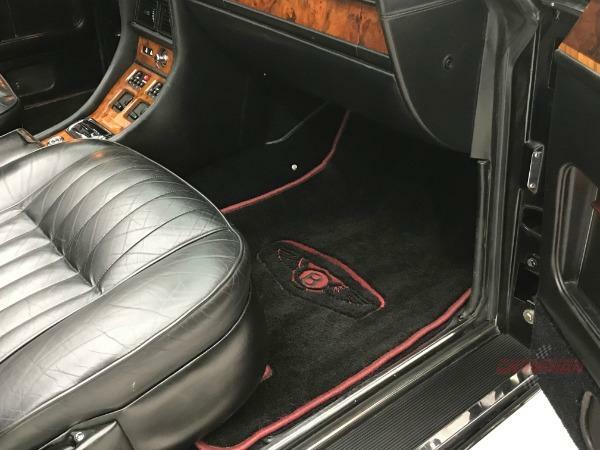 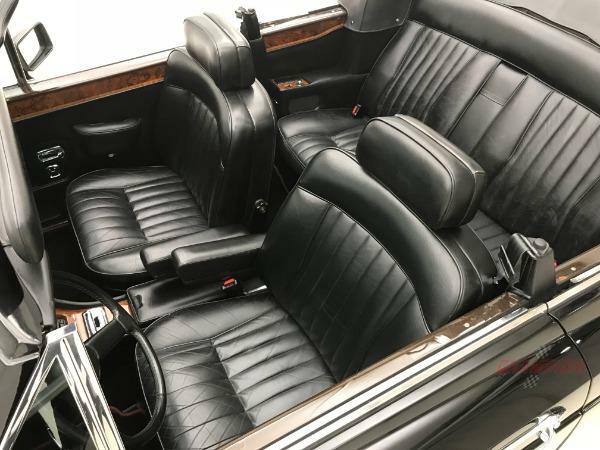 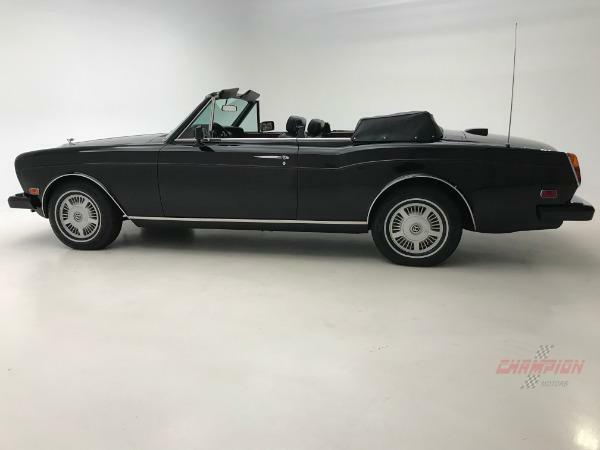 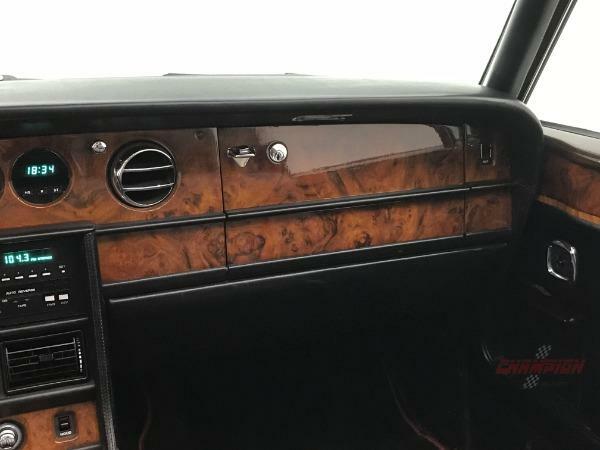 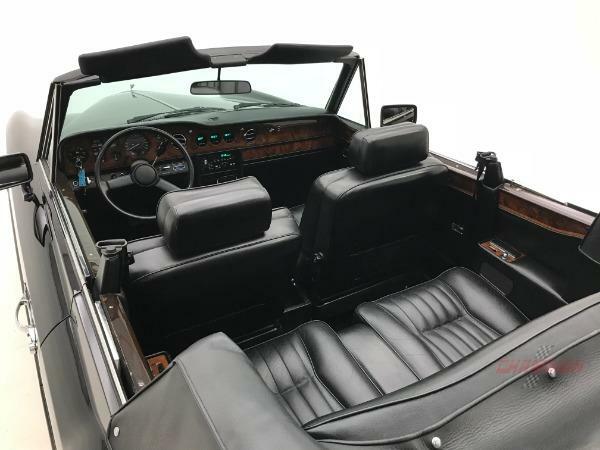 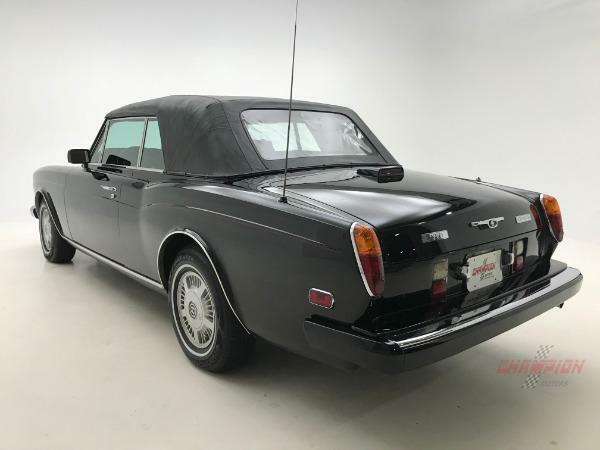 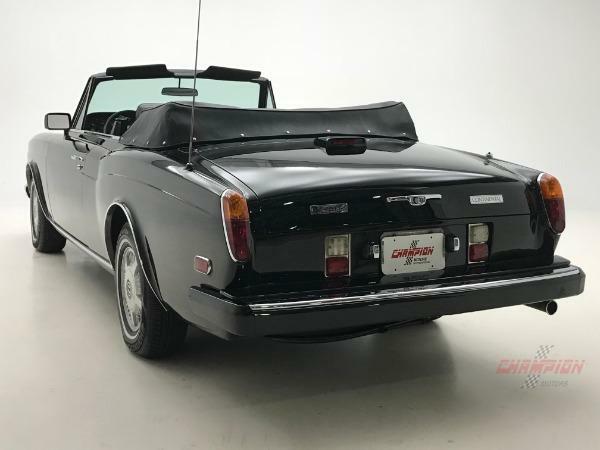 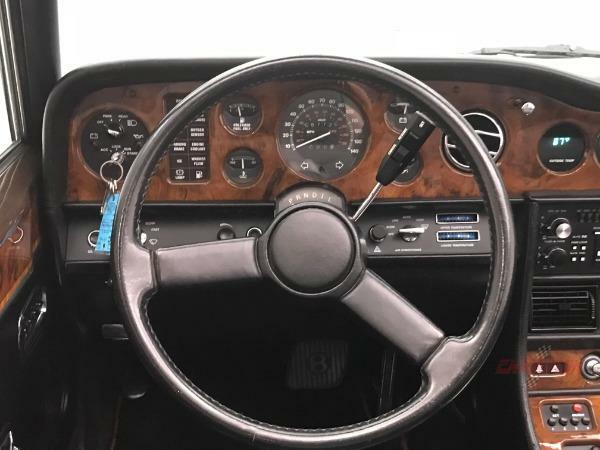 The two door fixed and drophead coupes, designed by John Blatchley and built by Mulliner-Park Ward, were introduced a year later and their names were later changed to the Rolls-Royce Corniche and Bentley Continental. 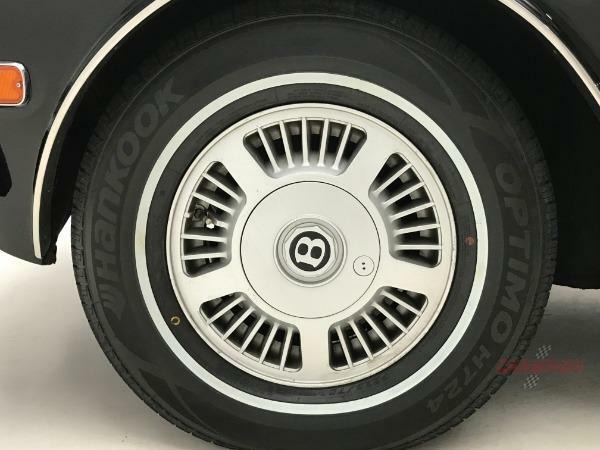 The design was so successful that it was continued until 1995. 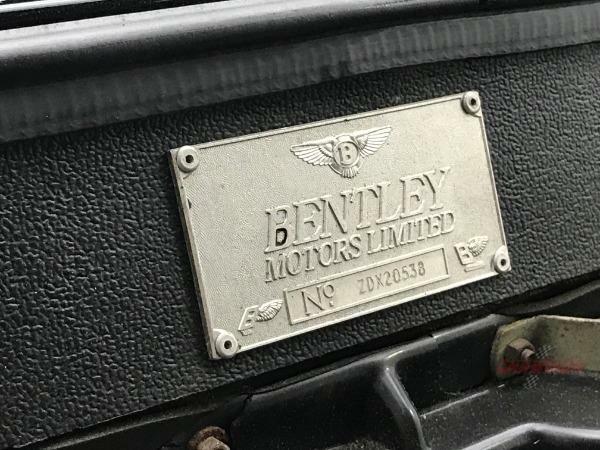 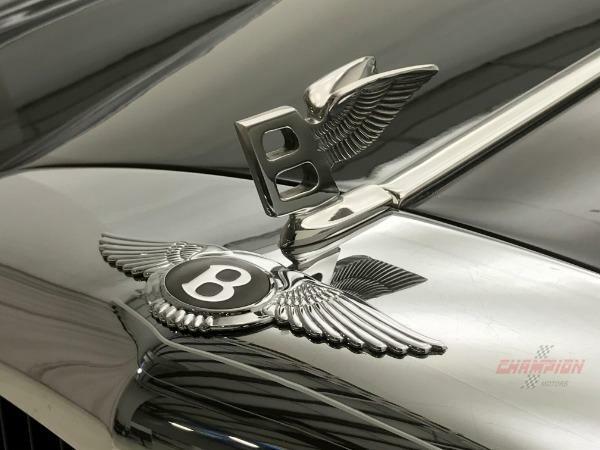 Over 6,000 cars were built, but only 10% were Bentleys. 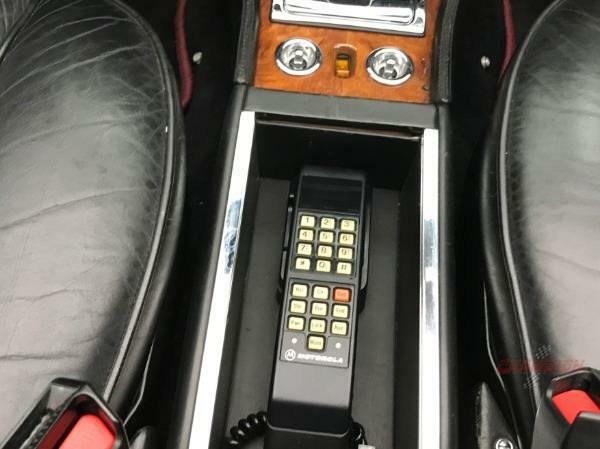 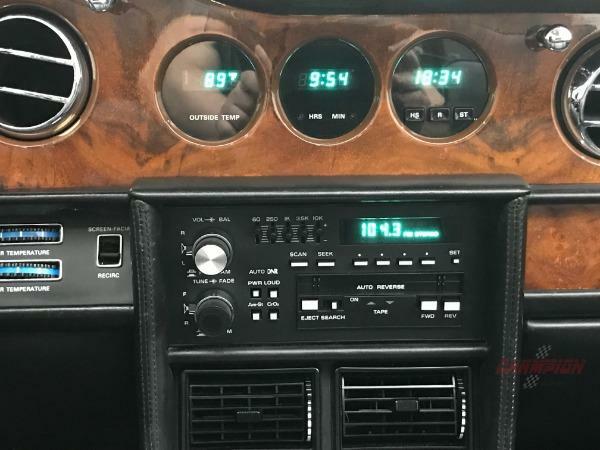 In late 1987 some 200 improvements were introduced and these cars are referred to as 1987 1/2 models. 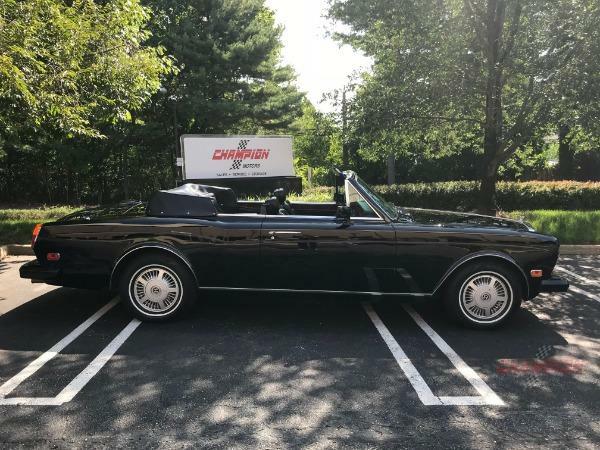 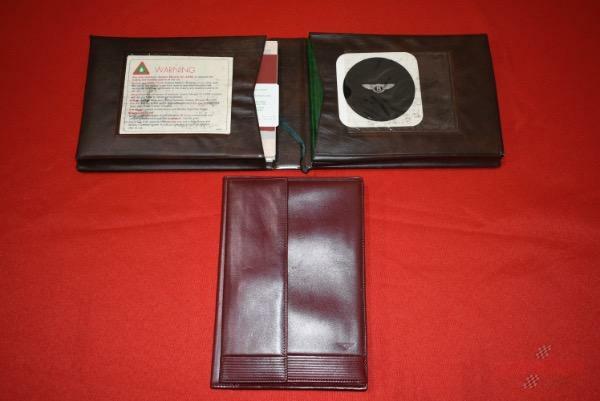 This car was purchased new from Carriage House in New York on November 18, 1987. 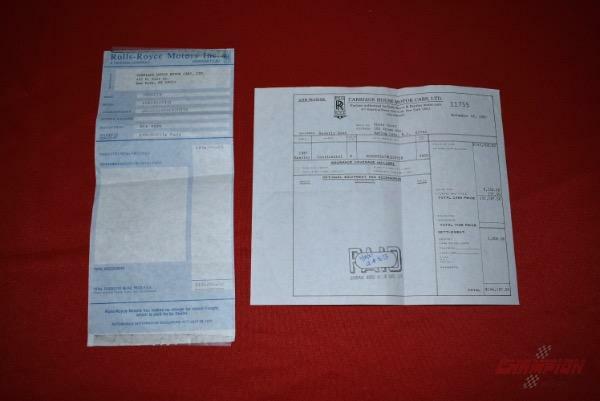 The original bill of sale and window sticker accompany the car. 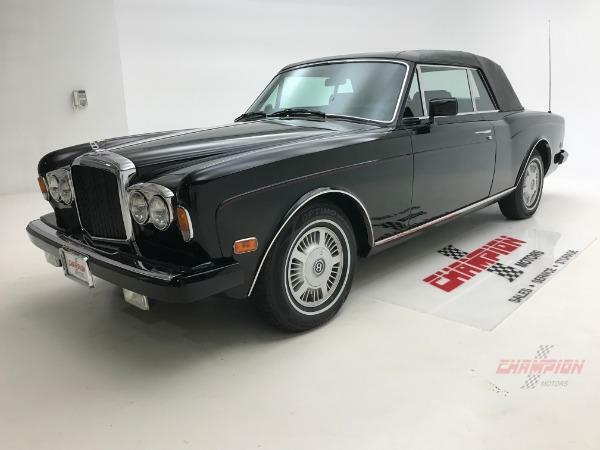 The second owner, who is a personal friend since he joined the Rolls-Royce Owner's Club in 1984, purchased it on June 30, 1991. 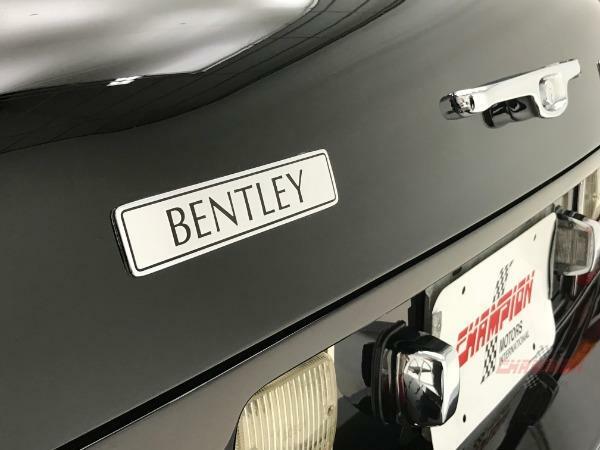 He is a major collector and also owns a company that produces parts for NASCAR and Formula 1 cars. 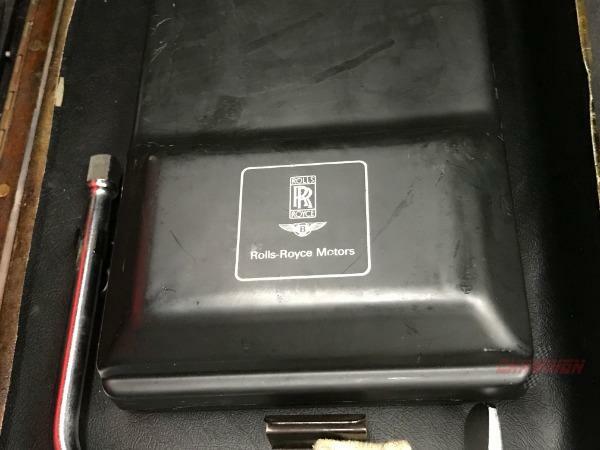 We have co-hosted several Rolls-Royce Owners' Club events. 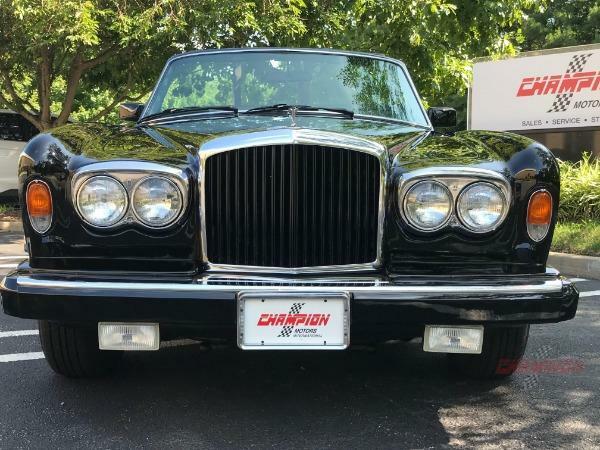 This car has led a sheltered life and shared garage space with 3 other Bentleys, 6 Rolls-Royces, and several Ferraris and Lamborghinis. 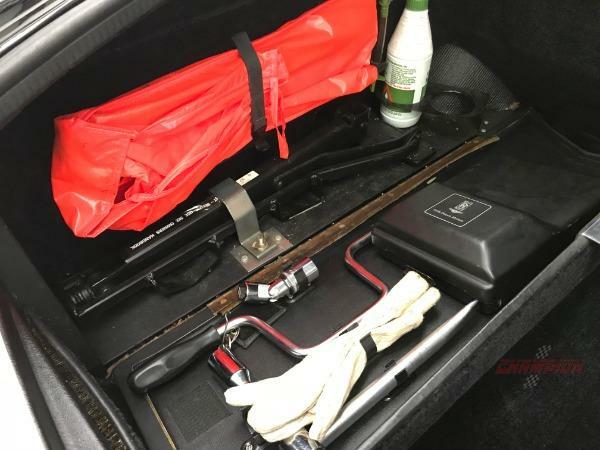 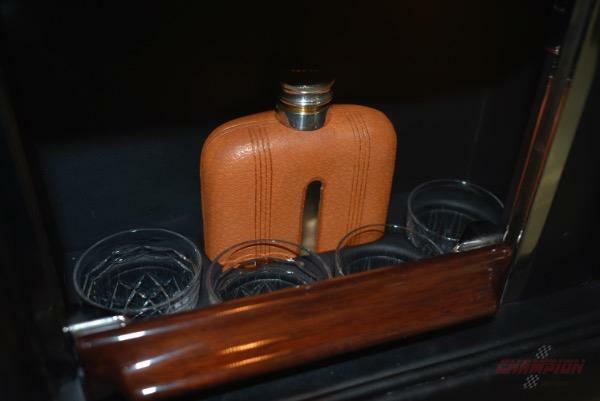 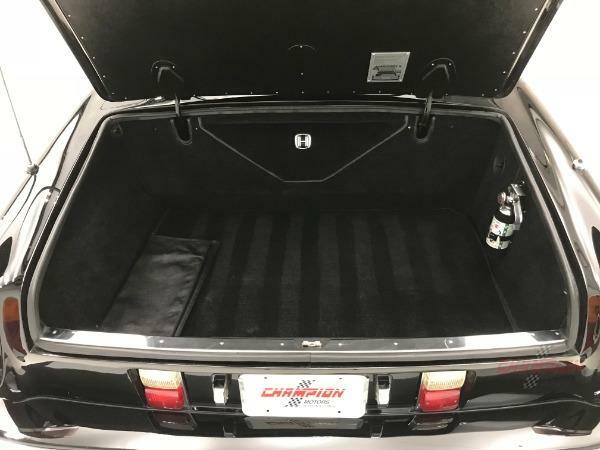 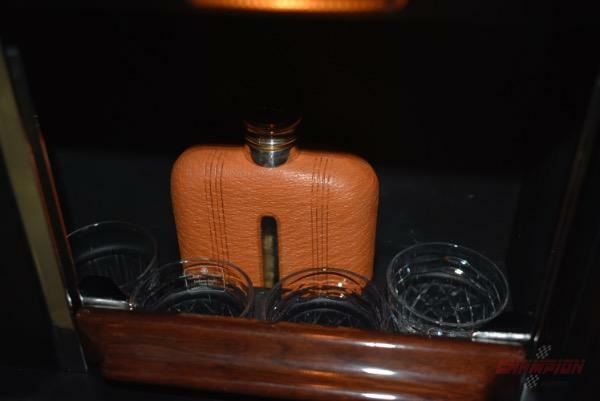 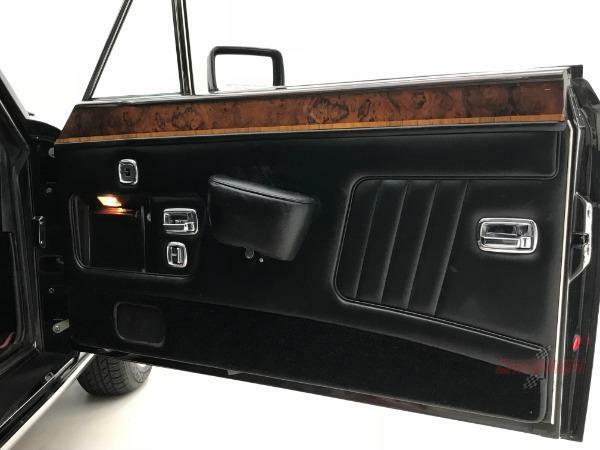 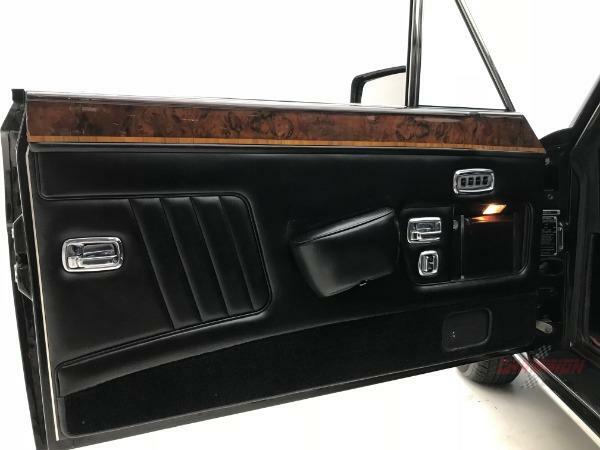 This car was ordered with cocktail appointments in both doors and comes with both flasks and all 8 glasses. 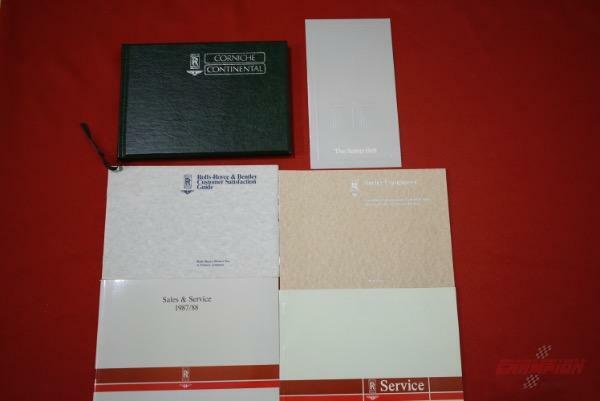 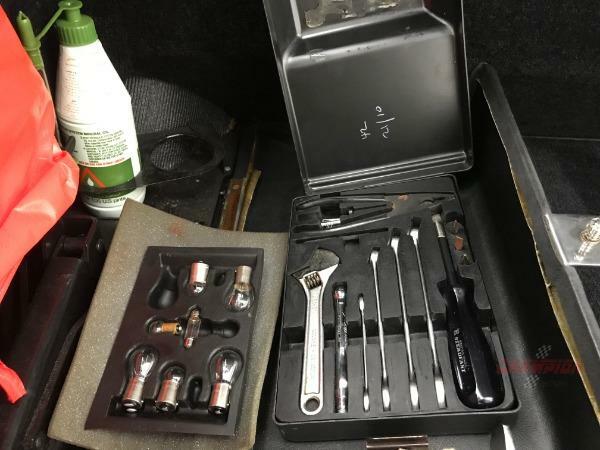 All books and small and large tools have also been preserved. 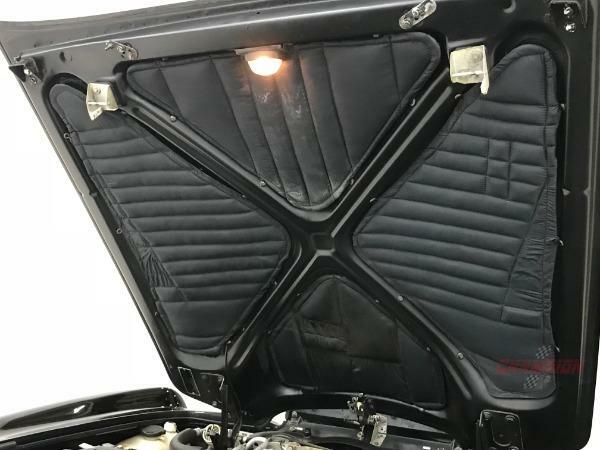 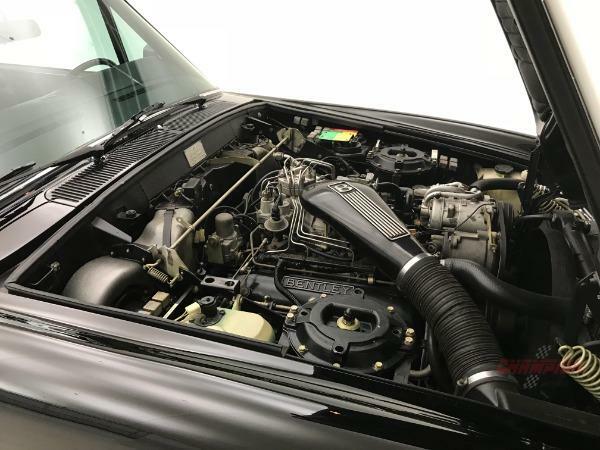 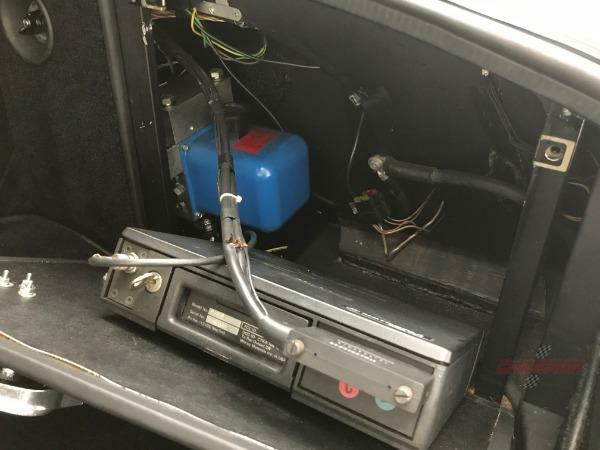 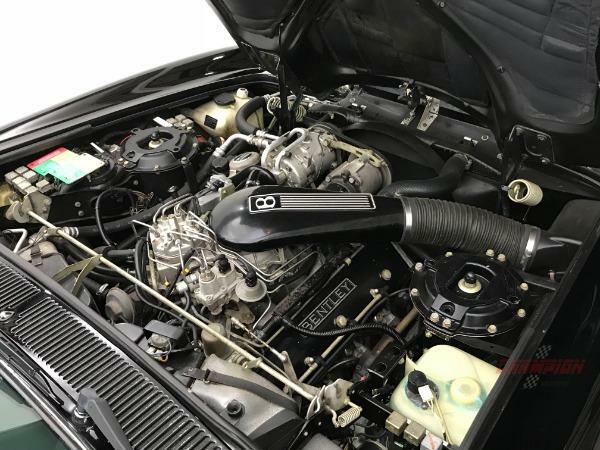 We have completed a complete service on this vehicle including new accumulators and gas springs, new tires, and a new thermostat and coolant temperature switch. 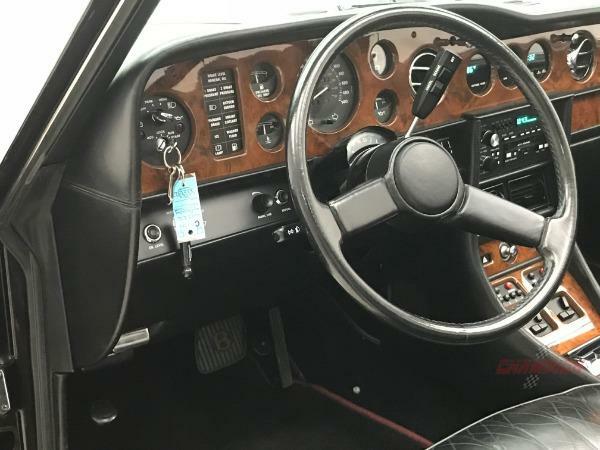 This car looks and drives like a 20,000 mile car. 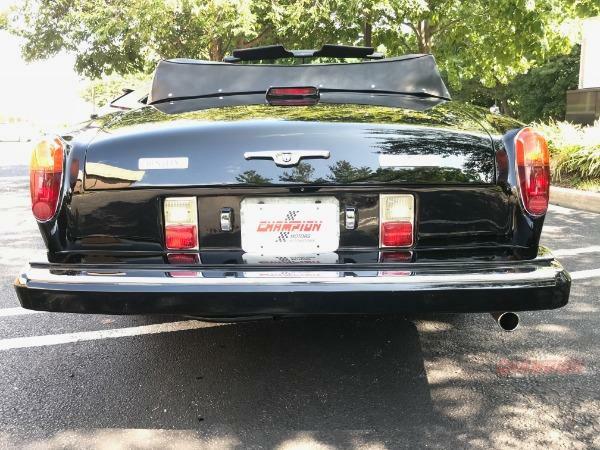 I have known this car throughout its life with the second owner and believe the Carfax information is incorrect. 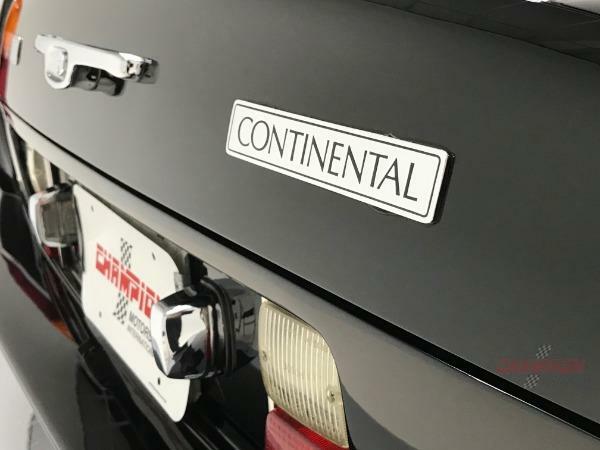 Please contact our sales team for additional details and info.